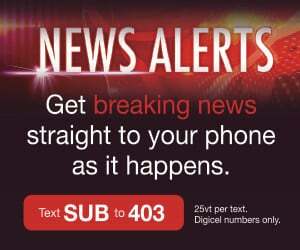 Vanuatu Daily Post – On 25 February 2019, the International Court of Justice (ICJ) delivered a resounding Advisory Opinion on the legality of the UK’s administration of the Chagos Islands as part of the British Indian Overseas Territory, finding that the UK’s administration of the islands is a continuing unlawful act, that the UK has an obligation to bring to an end its administration of the Chagos Islands “as rapidly as possible” and that all member States must cooperate with the UN to complete the decolonisation of Mauritius. In order to bring the Advisory Opinion to the Court, Vanuatu voted in favour of a resolution at the UN General Assembly to refer the question concerning the legality of the UK’s administration of the Chagos Islands to the ICJ. The Prime Minister of Mauritius, Pravind Kumar Jugnauth, then wrote to Prime Minister of Vanuatu Charlot Salwai in early 2018 requesting Vanuatu to make oral submissions in the ICJ case in support of Mauritius. 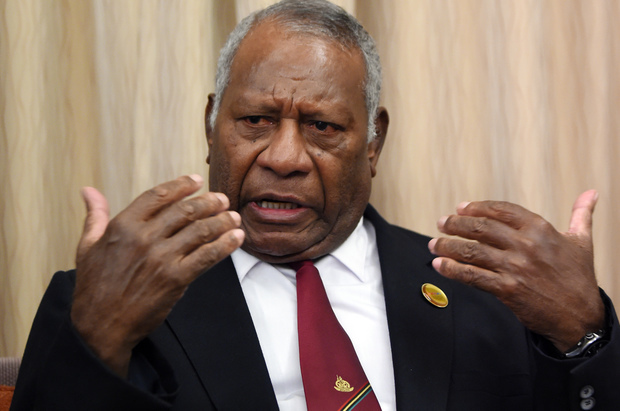 Vanuatu agreed, appearing before the Court last year for the first time since independence. Ultimately, Vanuatu’s oral submissions were almost entirely reflected in the findings of the ICJ in this historic Advisory Opinion. The issue at stake in this case was whether the United Kingdom’s division of its former colony into two separate territories, Mauritius and the Chagos Islands, ensured that the people living in the Chagos Islands were able to exercise their right to self-determination. The UK divided Mauritius, a colonial territory, in 1965 in order to lease the main island of the Chagos Islands – Diego Garcia – to the United States for its military purposes. Diego Garcia is a key strategic military base for the US and UK. As a consequence of this lease, which has been repeatedly renewed, the UK forcibly removed all the inhabitants of all of the islands of the Chagos Islands from their homes and sent them to Mauritius and other locations. They have never been allowed to return. The ICJ was asked by the United Nations General Assembly whether these actions were lawful under international law. The ICJ had three issues to decide. First, whether it would accept the request by the General Assembly to give an Advisory Opinion. Second, whether there was a rule of international law that protected the Chagossian’s right to self-determination in 1965. Third, if so, whether there were implications for the UK’s current administration of the Chagos Islands as part of the British Indian Overseas Territory. Vanuatu was among a number of states which made their first appearance before the Court, in recognition of the importance of this case and for the right to self-determination. The African Union, Botswana, Kenya and Zambia also appeared for the first time. After the hearings in September 2018, Foreign Minister of Vanuatu, Ralph Regenvanu, said Mauritius was “thrilled” with Vanuatu’s submissions and reported that Prime Minister of Mauritius Jugnauth – who was in Court observing the proceedings and who personally congratulated the Vanuatu delegation – called Vanuatu’s oral intervention “one of the best of the week”. 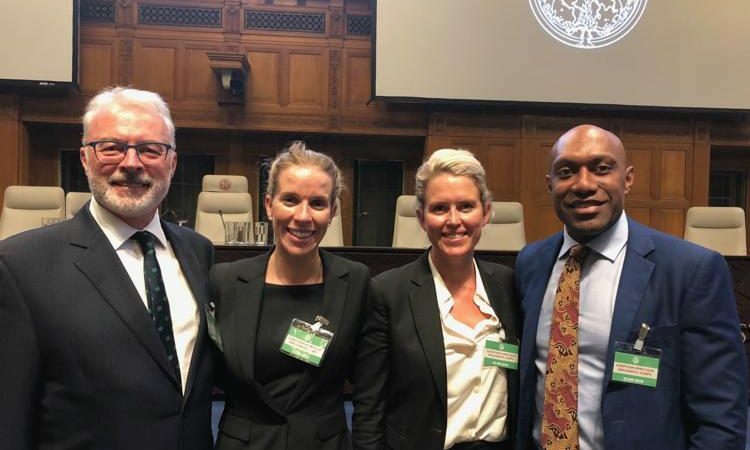 Vanuatu was represented in these proceedings by Professor Robert McCorquodale of Brick Court Chambers, Jennifer Robinson of Doughty Street Chambers, Nicola Peart of Three Crowns LLP, and Mr. Noah Patrick Kouback, Permanent Mission of Vanuatu in Geneva. Pohnpei, Jubi – Referendum untuk menentukan kemerdekaan bagi negara bagian Chuuk di Mikronesia, yang rencananya akan dilaksanakan bulan depan telah ditunda, menurut pejabat-pejabat senior di negara Pasifik itu, Jumat (22/2/2019). 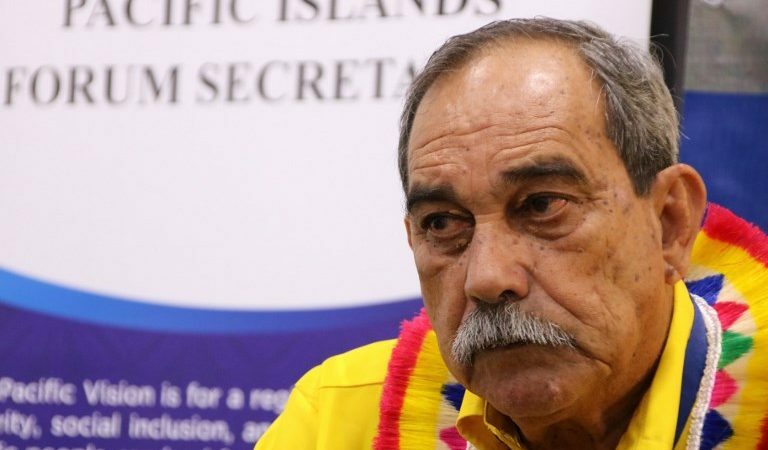 Sebelumnya, pemungutan suara untuk memutuskan apakah Chuuk akan berpisah dari Federasi Mikronesia (Federated States of Micronesia; FSM), dijadwalkan diadakan bersamaan dengan pemilihan nasional pada 5 Maret 2019 mendatang. Namun, penasihat hukum utama untuk badan legislatif negara bagian Chuuk, Eliesa Tuiloma berkata, referendum yang awalnya seharusnya dilakukan pada Maret 2015, kembali ditunda sampai waktu yang belum ditentukan. Federasi Mikronesia (FSM) terdiri dari lebih dari 600 pulau di sebelah utara Pasifik, yang terbentang lebih dari ribuan kilometer dengan luas area daratan hanya 700 kilometer persegi (270 mil persegi). Chuuk adalah negara bagian terbesar dari 4 negara bagian FSM dengan populasi mencapai 50.000 jiwa, mencakup hampir setengah dari populasi negara federasi itu. Buka, Jubi – Australia membenarkan bahwa mereka akan menyalurkan bantuan hingga K 2,4 juta, untuk mendukung pekerjaan Komisi Referendum Bougainville (Bougainville Referendum Commission; BRC). Pengumuman itu dikeluarkan oleh Komisaris Tinggi Australia untuk PNG, Bruce Davis, di Buka, kemarin (24/2/2019), dalam pertemuan dengan Komisaris Bougainville Electoral Commissioner, George Manu, dan Komisaris Referendum Referendum Commissioner Patrick Nisira. K 1.2 juta pertama telah diberikan melalui proyek pendukung persiapan referendum Bougainville yang dijalankan oleh Program Pembangunan PBB UNDP. Dana tersebut diberikan untuk menyokong komisi BRC, dalam melaksanakan referendum yang kredibel. Bantuan ini adalah bagian dari dana K 120 juta per tahun yang disediakan oleh Australia untuk Daerah Otonom Bougainville (Autonomous Region of Bougainville; ABG) melalui kemitraan antar-PNG dan Australia. “Sebagai saksi saat Perjanjian Perdamaian Bougainville 2001, Australia ingin menyaksikan suatu proses yang dijalankan dengan baik yang mendukung prospek untuk perdamaian, dan stabilitas yang berkelanjutan di masa transisi,” kata Davis. Komitmen baru ini di luar dari dukungan Australia yang sudah ada untuk pelaksanaan referendum Bougainville, termasuk AU$ 6,6 juta (K 15,8 juta) untuk bantuan teknis kepada Komisi BRC, dan AU$ 3,1 juta (K 7,4 juta) yang dialokasikan untuk lembaga penelitian nasional PNG, National Research Institute, guna mendorong dialog yang lebih cerdas mengenai status masa depan Bougainville. Komisaris Nisira berterima kasih kepada rakyat dan pemerintah Australia, atas dukungan pendanaan yang tepat waktu. “Saya meminta kepada pemerintah nasional untuk menyediakan K 20 juta, agar BRC dapat melakukan pekerjaan independennya dalam persiapan pelaksanaan referendum,” katanya. 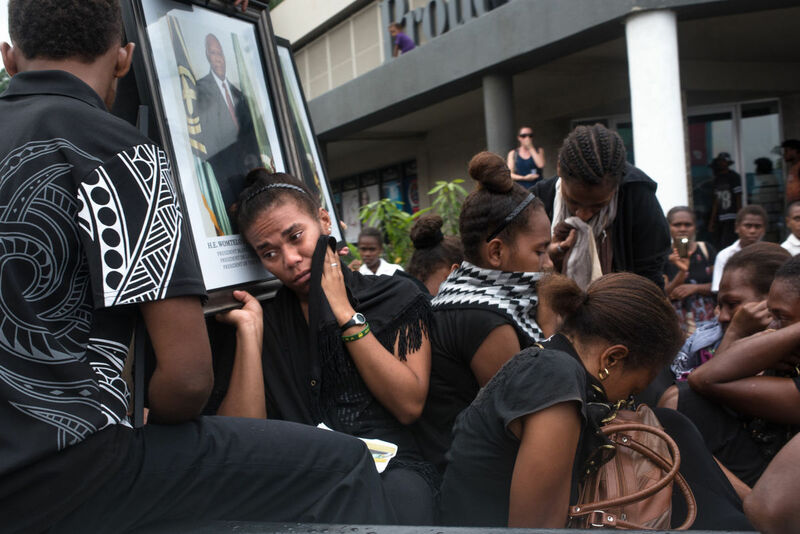 A global grouping of Christian churches has found that discrimination and human rights violations in Indonesia’s Papua region are as severe as they were two decades ago. A team from the World Council of Churches wrapped up a week-long trip to Indonesia on Friday, which included visits to several cities in Papua province. In Wamena and Jayapura, the Council says it met people who had fled the recently intensified military and police operations in Nduga regency of Papua’s Highlands. While there are no official figures for the displaced, Indonesian state media have reported hundreds of students have been forced to flee. A Tanzanian bishop with the Council, Abednego Keshomshahara, says “it was painful to see so many child victims” of the violence in Nduga. The crackdown in Nduga is part of a state-sanctioned hunt for members of the West Papua Liberation Army, which claimed responsibility for killing at least 16 Indonesian road workers and a soldier in December. The Liberation Army has claimed they were all members of the military. During the visit to Papua last week, the Council met with local leaders, victims and Indonesian military police and military officials. It said its delegates heard frequently of landgrabbing and environmental degradation. “Papuan people seem to be systemically marginalized and excluded in all areas of life,” said Dr Emily Welty, a vice moderator with the Council. The WCC Director for International Affairs, Peter Prove, said that the visit was a positive step given that access to the Papua region had been severely restricted in the past. 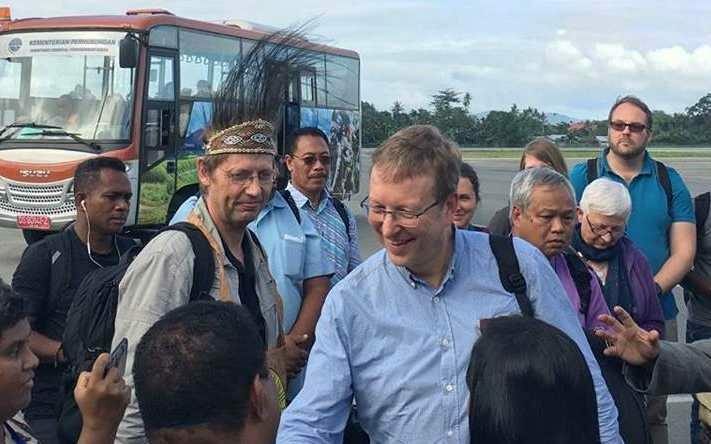 Despite the relative progress of being able to visit Papua, the WCC says members of the delegation were alarmed to hear from almost all the Papuans they met of “the severity of the problems they continue to face”. The Deputy General Secretary of the United Evangelical Mission, Dr Jochen Motte, was part of the last WCC delegation to visit Papua in 1999, although two WCC members had made individual visits during the interim. But after being part of the latest visit, Dr Motte said it was sad to realise that the issues mentioned in the report at that time were almost the same today. According to him, almost all Papuans the delegation members encountered – including local government officials – considered the Special Autonomy status that Indonesia’s government granted Papua as a failure. The Special Autonomy Law was enacted in 2001 as a basis for Papuans to play a role in determining their own political, social, cultural and economic development within the Republic of Indonesia. “Special Autonomy Status could not meet the expectations of the Papuan people and bring an end to discrimination and human rights violations,” Dr Motte said. During the visit to Papua the delegation received a joint appeal from the leaders of four churches in Papua – the GKI-TP, the KINGMI Church in Tanah Papua, the Evangelical Church in Tanah Papua (GIDI), and the Fellowship of Baptist Churches of Papua. They called for international ecumenical support for a comprehensive political dialogue for the resolution of the situation in Papua. “It is clear that dialogue without preconditions is the only path forward in such a situation as we encountered in Papua,” said Rev. James Bhagwan, general secretary of the Pacific Conference of Churches. Scores of students from the Student Struggle Centre for National Liberation (Pembebasan) and the Papuan Student Alliance (AMP) have called on the public to boycott or spoil votes in the legislative and presidential elections next month. The students, who said they were part of the 2019 Election Boycott Committee (Komite Boikot Pemilu, KBP), held the protest action at the Dr Johanes Leimena statue traffic circle in the city of Ambon, Maluku, last week. “Golput [defacing ballot papers] is the most sensible choice. And this is our position in the 2019 pemilu”, said Abner Holago, one of the speakers at the action. According to Holago, electoral participation levels have steadily declined between 1999 and 2014 by as much as 70.9 percent. Part of the reason for this decline is blamed on “administrative disorganisation”. “This is a warning that progressively more people who are entitled to vote are not participating in the pemilu. From one year to the next more people don’t believe in [the elections], are disappointed with and sick of the country’s political system”, he said. During the action the protesters made six demands including calling for people not to vote in the 2019 elections, to fight against militarism, to build an alternative political force, the withdrawal of the TNI (Indonesian military) and Polri (National Police) from the land of Papua, an end the theft of farmer’s land and for the ratification of the draft law on the elimination of sexual violence. Golput (Golongan Putih, White Group): The term first emerged as a campaign by students in the 1971 elections and derives its name from marking the white section of the ballot paper rather than a party symbol or candidate’s picture thereby making the vote invalid. In recent years the term has broadened to include not just intentionally casting an invalid vote but also vote abstention. Under new electoral laws introduced in 2003, golput, defacing a ballot paper or simply not voting is no longer an electoral offence. Although it is widely believed that publicly advocating golput is illegal, unless money or other enticements are offered simply campaigning for or encouraging others not to vote is not in fact a crime. Translated by James Balowski for Indoleft News. The original title of the article was“Mahasiswa Papua Demo di Ambon, Ajak Masyarakat Golput”. The United Nations says people in Hela and Southern Highlands still need humanitarian assistance following the 7.5 magnitude earthquake in the Highlands region a year ago. UN resident coordinator Gianluca Rampolla told The National that the quake had only added more problems to the region, especially Hela and Southern Highlands. Rampolla, who had led a team to Hela and Southern Highlands earlier this month, said both provinces had problems like lack of schools, tribal conflicts and health-related issues such as malnutrition before the quake struck in February last year. He said the aftermath was not the first thing in people’s mind, rather tribal conflicts and law and order issues were their main concern in Hela and Southern Highlands. But Rampolla said the people of the two provinces were happy to welcome his team during their visit, adding that they were thankful to see that people still cared for them. The recently concluded UN mission to the region also found that while most immediate earthquake-related needs had partly been met, people were still facing development and human rights challenges from ongoing conflicts and due to their isolation and remoteness. The UN in its assessment found almost 550,000 people were impacted and nearly 20,000 displaced, and destroyed roads, bridges, hospitals, schools and other vital public infrastructure. It increased an already precarious food insecurity situation by damaging garden plots and interrupting water supplies. Many of the 200 aftershocks measuring between magnitudes 4.5 and 5.5 caused widespread panic among the affected population and continue to do so. Together, with humanitarian partners and the private sector, the UN mobilised over K67.32 million (US$20 million) to provide assistance to 200,000 people in need of immediate relief – of which 63,000 were children, half were girls and 62,000 were women. Because many affected communities were situated in extremely remote areas, helicopters and 4×4 vehicles were utilised to bring relief items. 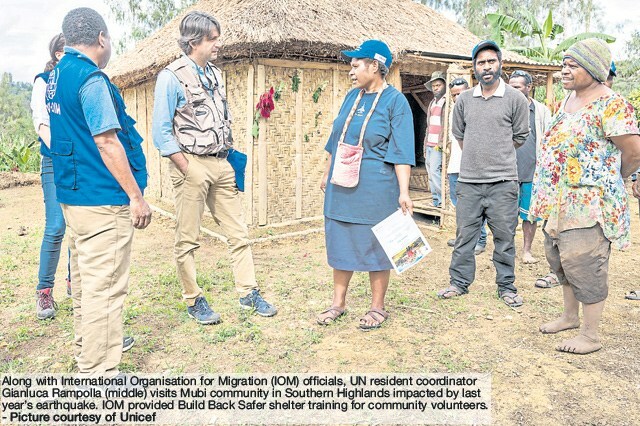 Although the response was interrupted briefly by fighting, working with partners on the ground, UN agencies managed to deploy staff and supplies over the course of several months to address the most urgent humanitarian needs in Hela and Southern Highlands. 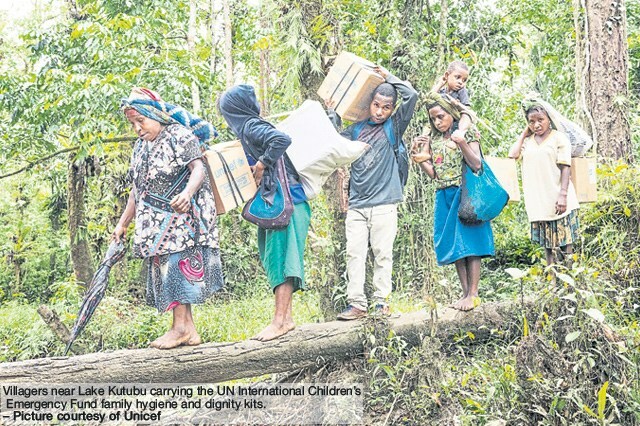 In all, the UN established two field coordination hubs in Tari, Hela and Mendi, Southern Highlands and supported the establishment of two logistics hubs in Moro, Southern Highlands and Mount Hagen, Western Highlands. UN stated that One year later, the after-effects of the earthquake are still visible. The disaster has compounded the development challenges faced by the affected provinces, and the impact of chronic, low level intensity armed inter-clan fighting that have been ongoing for years. “The earthquake was the strongest-ever registered in Papua New Guinea and even stronger than the one that hit parts of Bali a few months later,” Rampolla said. The UN earthquake response included, health, protection, shelter, food security, education, water, sanitation, and hygiene. The UN hopes that the work done during the emergency phase will help boost overall services in the region and lead to a more established UN presence. Discussions are now under way for the UN to start the development of an area-based programme in the earthquake-affected provinces of Southern Highlands and Hela which remain severely under-serviced and conflict-prone. Work has already commenced with critical development and peace-building work. Vital to enabling the UN to rapidly initiate its life-saving response in a highly challenging operating environment was the availability of internal UN emergency funds, including the K30.97 million (US$9.2 million) from the UN Central Emergency Response Fund (CERF). PEOPLE in Southern Highlands have largely been working together in rebuilding their lives and homes and trying to restore some normalcy in their communities since last year’s earthquake, says provincial police commander Gideon Kauke. He has seen more unity, less tribal fights, a change in attitude towards life and a trend to work together. Today is the first anniversary of the 7.5 magnitude earthquake that devastated the Highlands area, particularly Hela, Southern Highlands and parts of Western and Enga. Kauke said people in Southern Highlands and Hela were simply shocked, traumatised and scared. Kauke said criminal activities stopped for a while as everyone was affected and people were scared another big earthquake was about to strike. “It’s been one year since then and as the PPC of the province, I believe the earthquake has changed many mindsets. There’s been less tribal fights, unlike before as people are working together to rebuild their lives, homes and societies,” he said. Kauke thanked the joint security operation for providing security at that time and the non-governmental organisations and churches for their never-ending support. 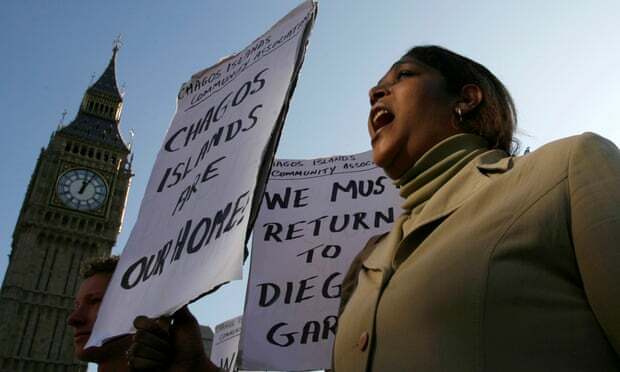 The UK has been ordered to hand back the Chagos Islands to Mauritius “as rapidly as possible” after the United Nations’ highest court ruled that continued British occupation of the remote Indian Ocean archipelago is illegal. The case was referred to the court, which hears legal submissions over international boundary disputes, after an overwhelming vote in 2017 in the UN assembly in the face of fierce opposition from a largely isolated UK. Delivering judgment, the president of the ICJ, Abdulqawi Ahmed Yusuf, said the detachment of the Chagos archipelago in 1965 from Mauritius had not been based on a “free and genuine expression of the people concerned”. Judge Yusuf, who is a Somali, said the process of separating the Chagos Islands from Mauritius during decolonisation in the 1960s constituted an “unlawful detachment” and was a “wrongful act”. The UK retained possession of the Chagos archipelago, which includes the strategic US airbase of Diego Garcia, after Mauritius gained its independence in 1968, effectively paying Mauritius more than £4m for the islands. The government refers to it as British Indian Ocean Territory or BIOT. About 1,500 native islanders were deported so the largest island could be leased to the US for the airbase in 1971. They have never been allowed to return home. In its submission to the ICJ last year, Mauritius argued it was coerced into giving up the Chagos Islands. That separation was in breach of UN resolution 1514, passed in 1960, which specifically banned the breakup of colonies before independence, lawyers for Mauritius said. The UK government argued that the court it did not have jurisdiction to hear the case. The ruling will be referred back to the UN general assembly, where it will be debated. The assembly vote in 2017, following the Brexit referendum, revealed the UK’s international influence to be on the wane, with many EU countries failing to support a fellow member state and even traditional allies such as Canada abstaining. The UN general assembly is now expected to deal with the question of the resettlement of the Chagos Islanders who have been expelled. The judgment represents a significant defeat for the UK on virtually every point it contested in the hearing last September. By a majority of 13 to one, the court found that the decolonisation of Mauritius had not been lawfully completed and that it must be completed “as rapidly as possible”. The only judge dissenting from the main opinion was an American. The court’s recommendations are expressed in remarkably forthright terms and represent a fresh challenge to the UK’s standing in the UN. Welcoming the ruling, the Mauritian government said it was a “historic moment in efforts to bring colonialism to an end, and to promote human rights, self-determination and the international rule of law”. Namira Negm, legal counsel of the African Union, which played an important role in the proceedings, said: “It is unthinkable that today, in the 21st century, there is a part of Africa that still remains subject to European colonial rule. Prof Philippe Sands QC, who represented Mauritius at The Hague, said: “The court has given a crystal-clear verdict, which upholds the rule of law. This is a historic and landmark judgment. It will be for Mauritius and the UK to sit down and implement this advisory opinion. “It will be for Mauritius now to decide on the resettlement of the islanders. There’s no veto at the UN general assembly. It will decide how to go forward with the matter. There’s no question of the UK coming up with new arguments: their arguments were put forcibly and well. David Snoxell, coordinator of the all-party parliamentary group in the Chagos Islands, said: “This is a searing indictment of the UK detachment of the Chagos archipelago from Mauritius in 1965 and its subsequent defence of that action. The UN general assembly must now decide what to do about this post-colonial legacy, including the human rights of the Chagos Islanders. The Free West Papua Campaign has welcomed the call by the United Nation’s human rights experts for “Prompt and impartial investigations … into numerous cases of alleged killings, unlawful arrests, and cruel, inhuman and degrading treatment of indigenous Papuans by the Indonesian police and military”. Benny Wenda, chair of the United Movement for the Liberation of West Papua (ULMWP), said: “The West Papuan people are crying out for their freedom and self-determination. 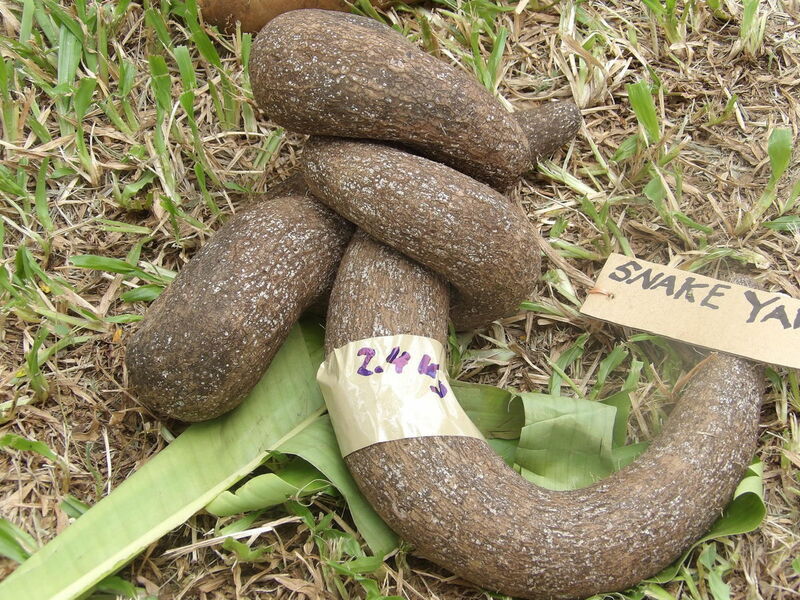 The statement from UN experts was sparked by the torture of a political prisoner with a snake. 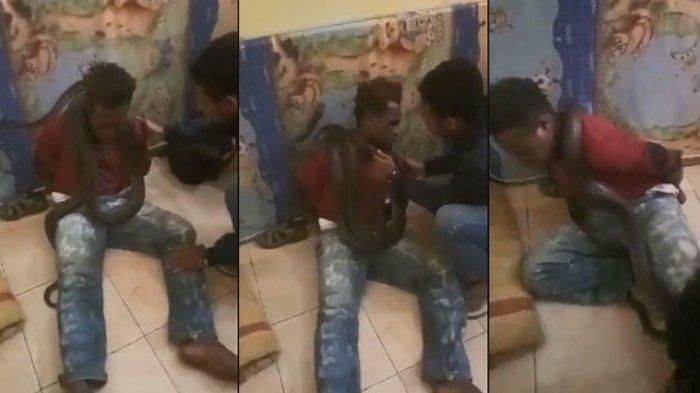 The UN recognised that this incident is “symptomatic of the deeply entrenched discrimination and racism that indigenous Papuans face, including by Indonesian military and police”. The ongoing genocide in West Papua by Indonesia is estimated to have killed 500,000 West Papuans since 1969. “We urge the Government to take urgent measures to prevent the excessive use of force by police and military officials involved in law enforcement in Papua. This includes ensuring those, who have committed human rights violations against the indigenous population of Papua are held to account. The Office of the High Commissioner for Human Rights (UN Human Rights) is the leading UN entity on human rights. The General Assembly entrusted both the High Commissioner and her Office with a unique mandate to promote and protect all human rights for all people.